This Trampoline Anchor Kit is designed to keep your trampoline stable during use. 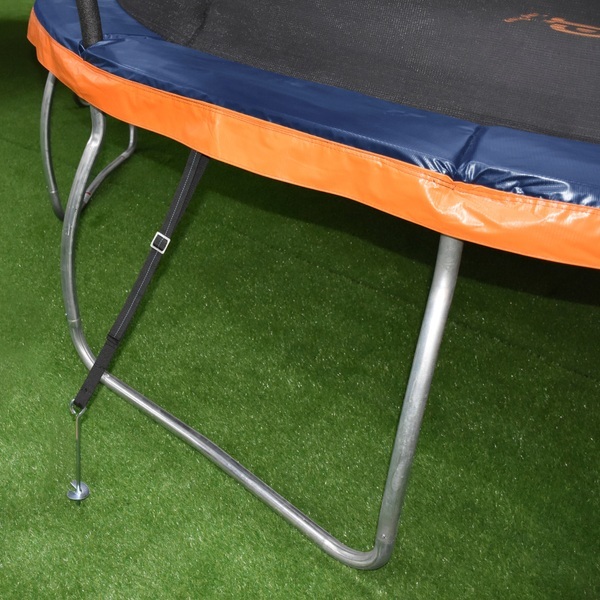 Secure large trampolines to the ground using the included 4 tie down straps and 4 stakes. Please note, tie down kits are not to be used during severe weather conditions.